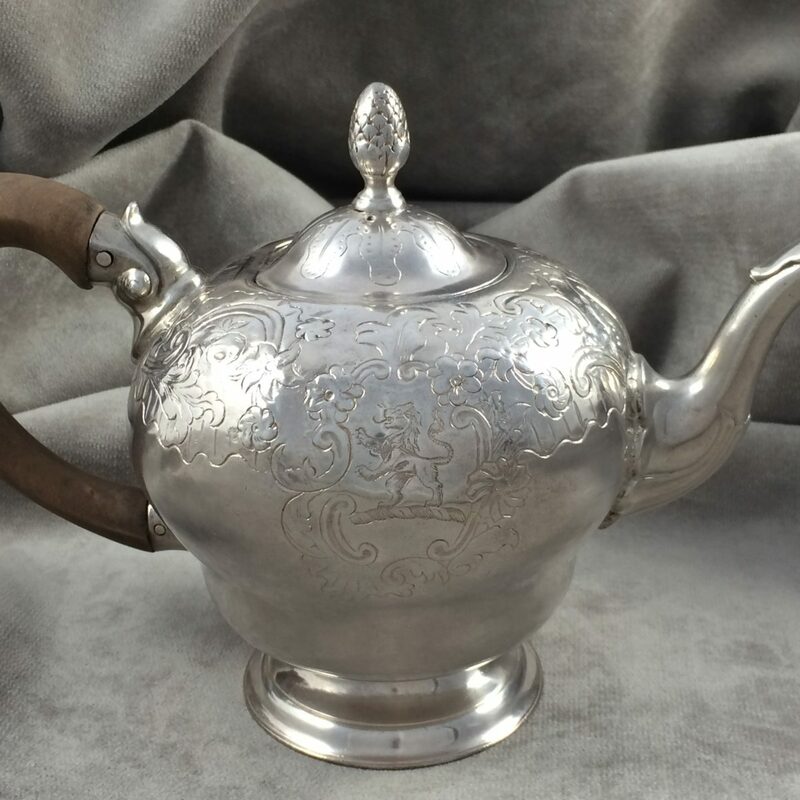 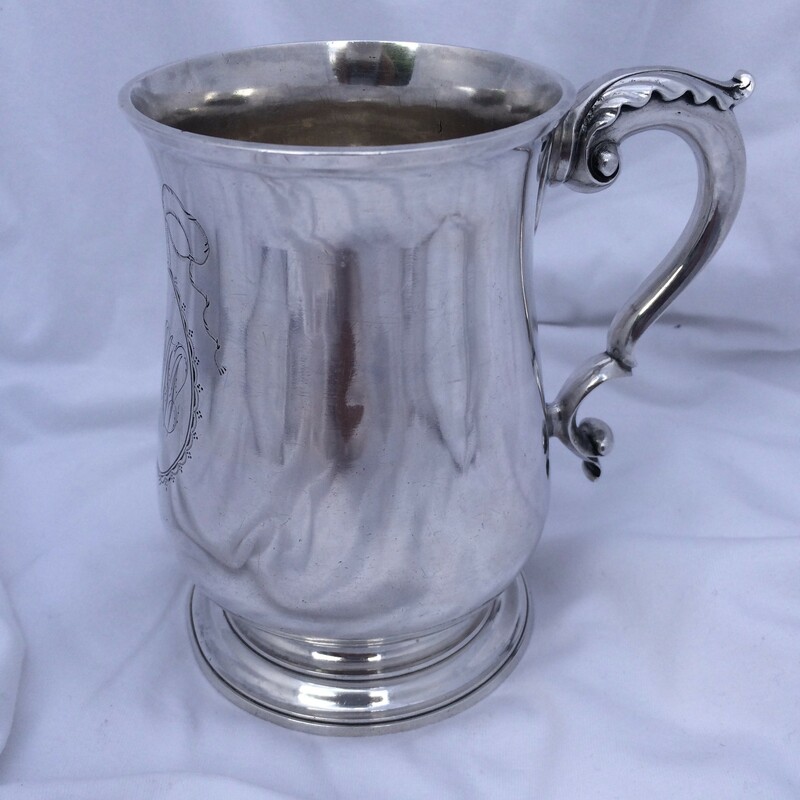 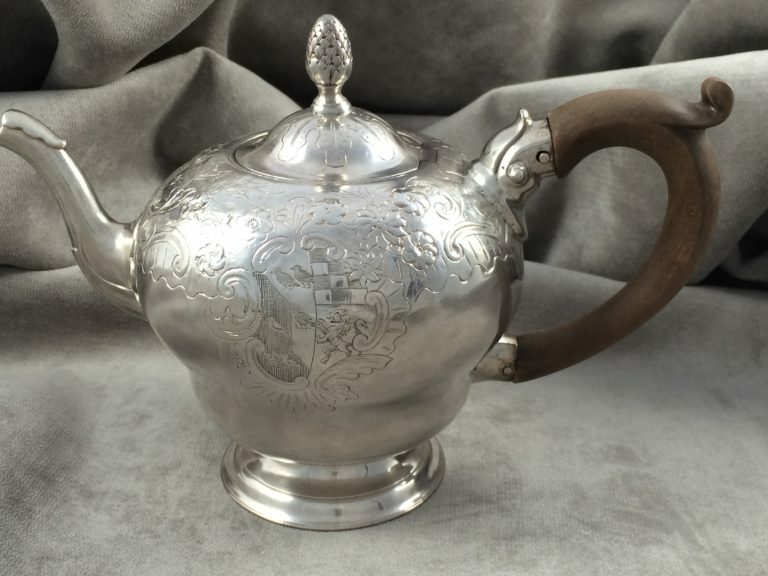 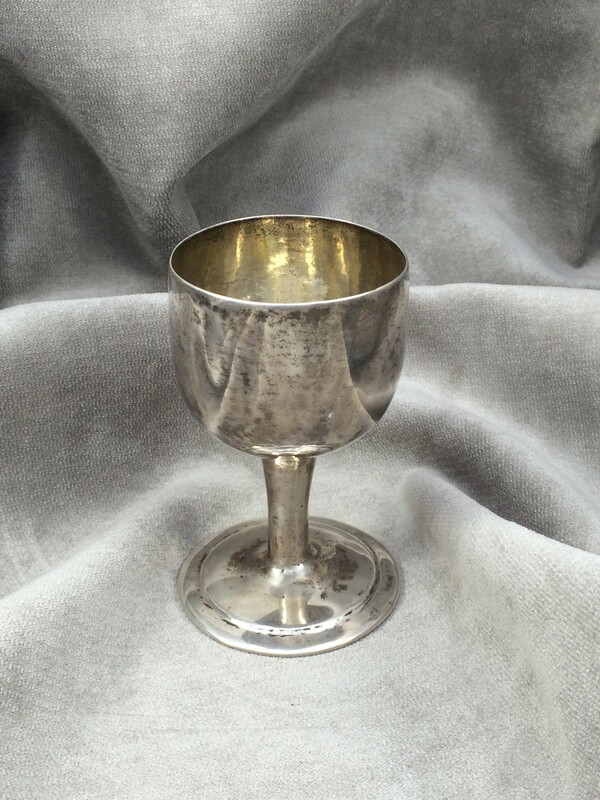 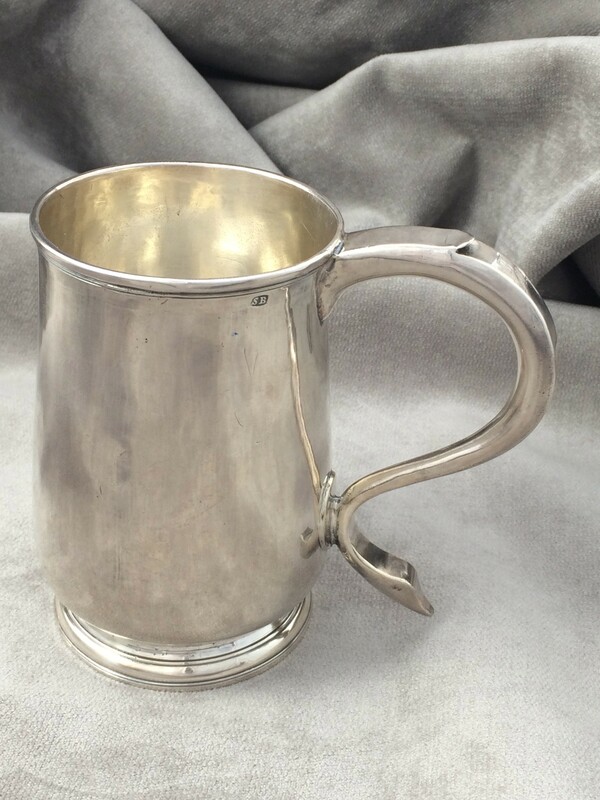 This is a beautiful antique silver tea pot from the 18th century. 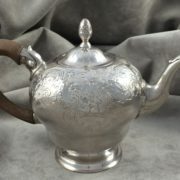 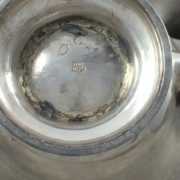 Its apple-shape is a common teapot design of the early Boston-era silversmiths. 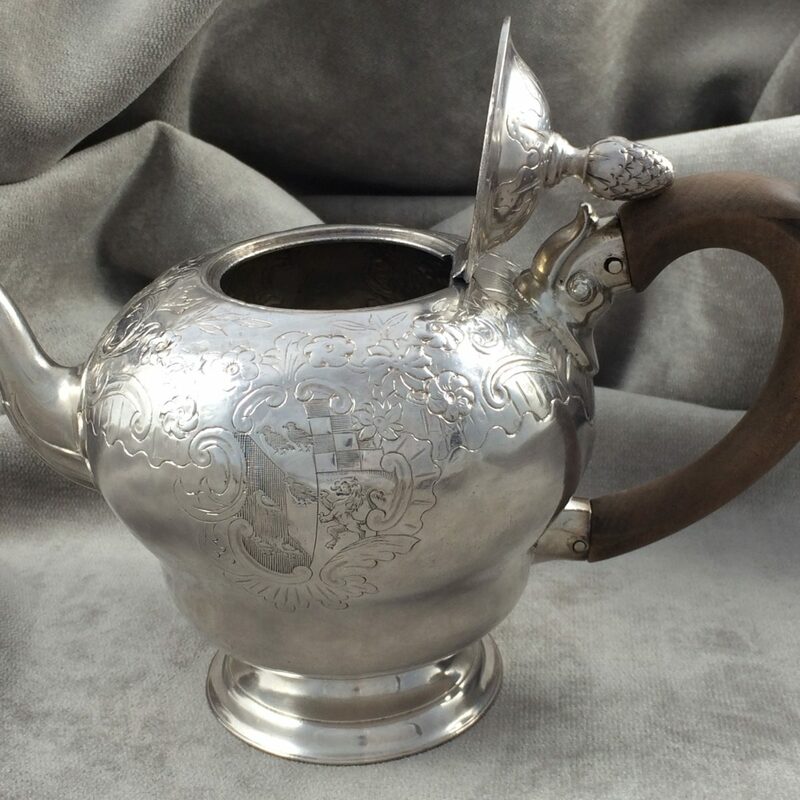 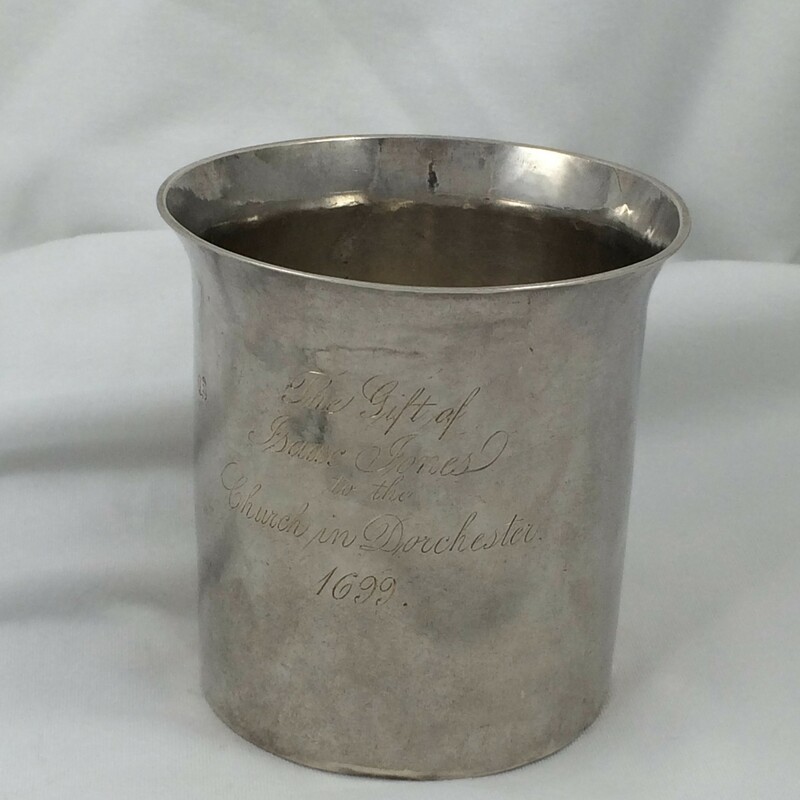 This piece has an s-shaped spout with a leaf cap and a c-shaped wooden handle, to protect the hands from heat. The domed cover is complete with bud finial and a flat, invisible hinge. 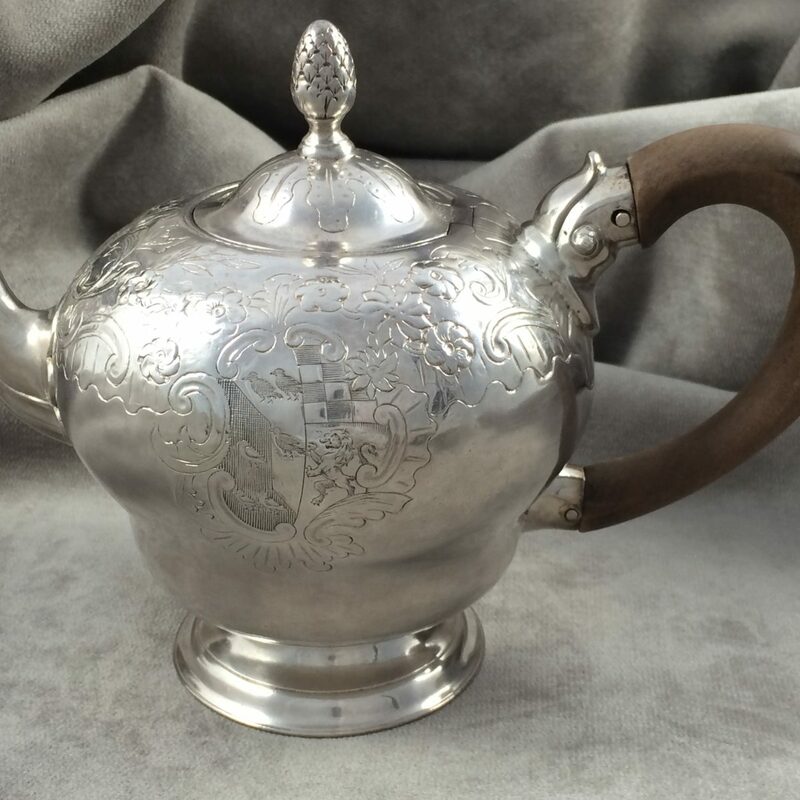 The sides of the tea pot are decorated with designs, coat of arms, and crest. The underneath of this teapot is engraved with the initials “C O M,” which is said to be for Obadiah and Martha Curtis. 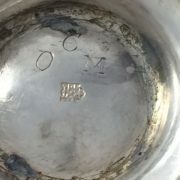 Also underneath is the mark of Samuel Edwards. This marking is distinct, with its S•E with crown above and flour-de-lis below.